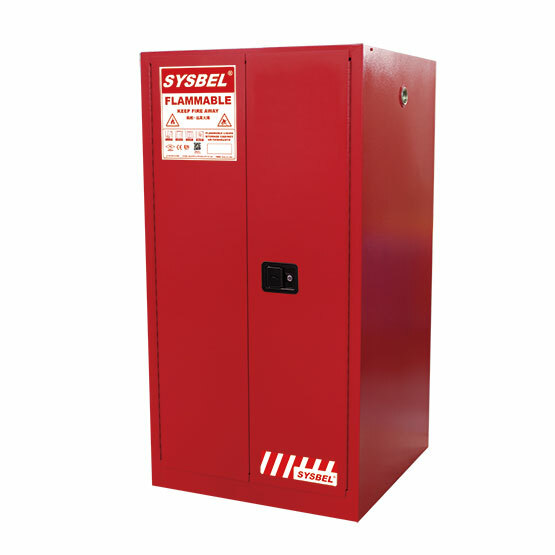 SYSBEL Combustible Cabinets for storing paintings, oil and other flammable liquids(high flash point liquid, flash point≥37.8℃), Suitable for coating, printing,furniture, automobile and other industries. 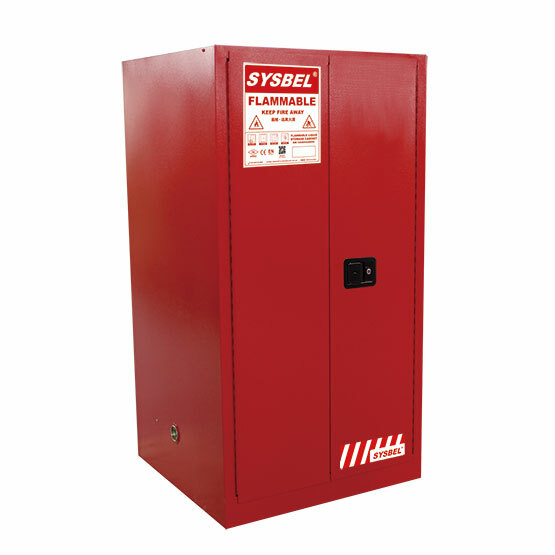 1.Double-wall construction with 38mm insulating air space for fire resistance. 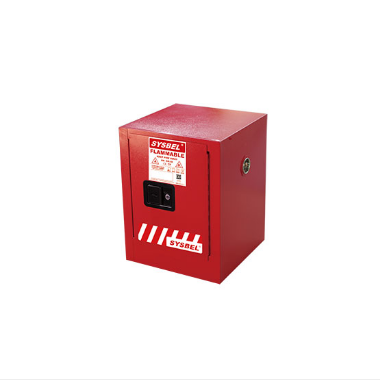 2.Over 1.2mm thick, fully welded,construction holds squareness for longer life, offering greater protection in a fire. 3.5.3cm leak tight sump at the bottom of cabinet’s maximally catches incidental drips. 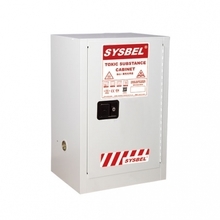 4.Door can be fully opened to 180°, easy to operate, three-point latch with a manual lock for better security. 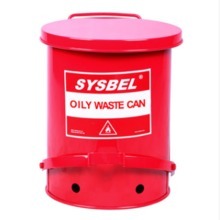 5.Standardized warning label is highly visible and anti-corrosive. 6.Unique spill-catcher shelves catch incidental drips and adjust on 6cm centers. 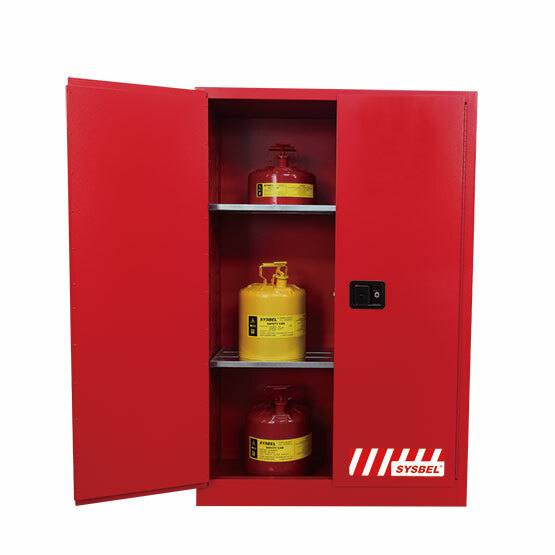 7.Durable&chemical resistant,lead-free powder coat inside and outside cabinet,reduce effects of corrosion and humidity. 8.2inches vents with integral flame arresters in both sides of every cabinet. 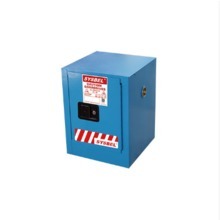 9.In terms of OSHA, on outside side panel,there is built-in grounding static connector for easy grounding. Our safety products are widely used in automotive manufacturing, petrochemical, industrial manufacturing, laboratory, food industry,power industry, new energy and other fields. We have been recognized by customers with good performance and high quality service . 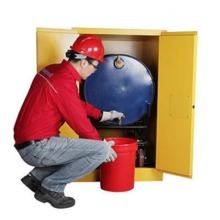 The food factory is used to store alcohol and weak corrosive liquids.